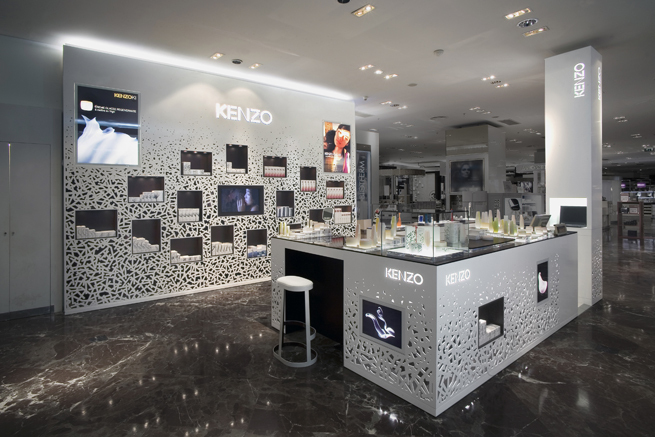 The sales space design for KENZO Parfums, the French perfume and cosmetics brand. 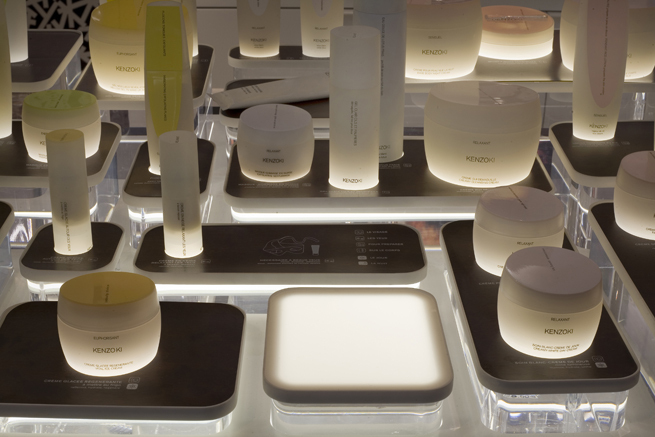 The design will be rolled out in the Paris department store Printemps, and implemented in 250 shops in 80 countries worldwide. 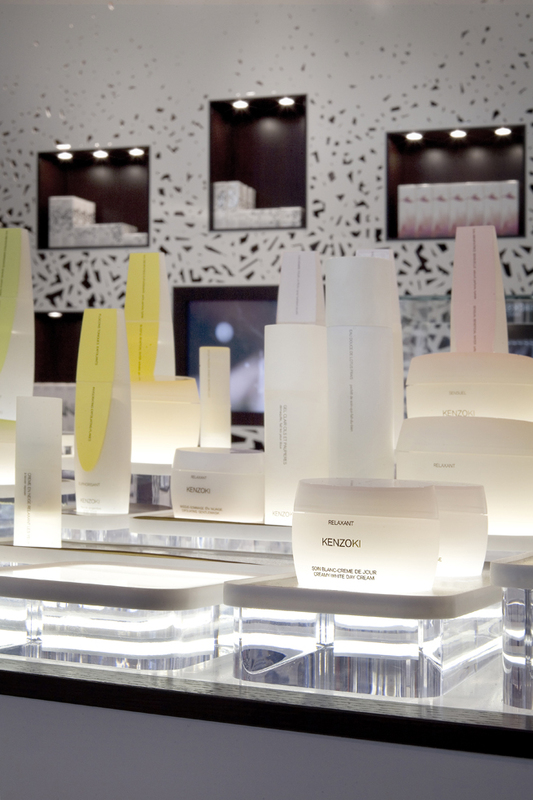 As a brand that is French but has its roots in Japan, and is known for its particularly refined yet warm style, Kenzo’s image is one of dualities. 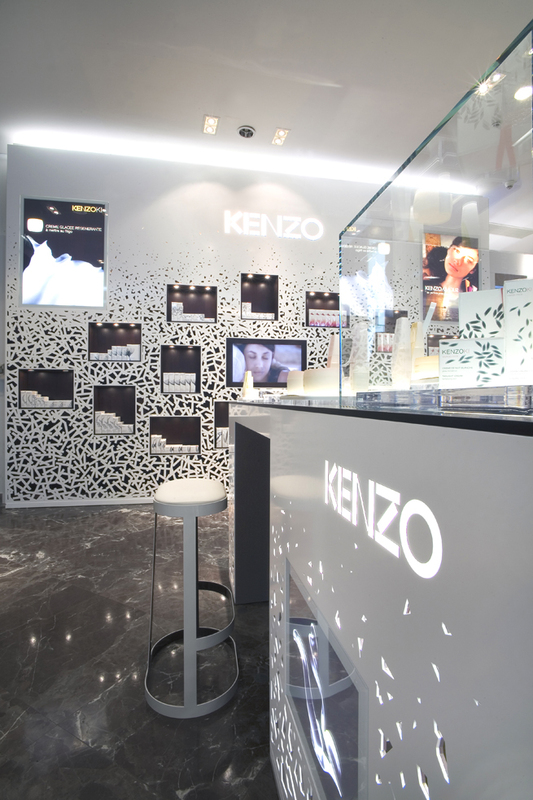 We thought that this duality is part of the essence of Kenzo, so we used it as the basic concept behind the space design. 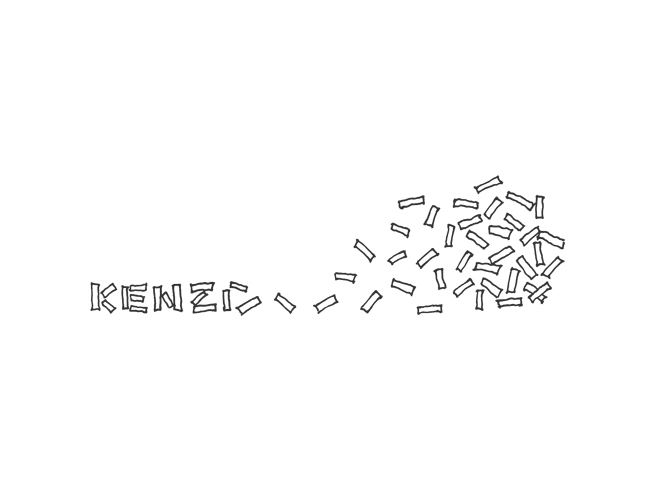 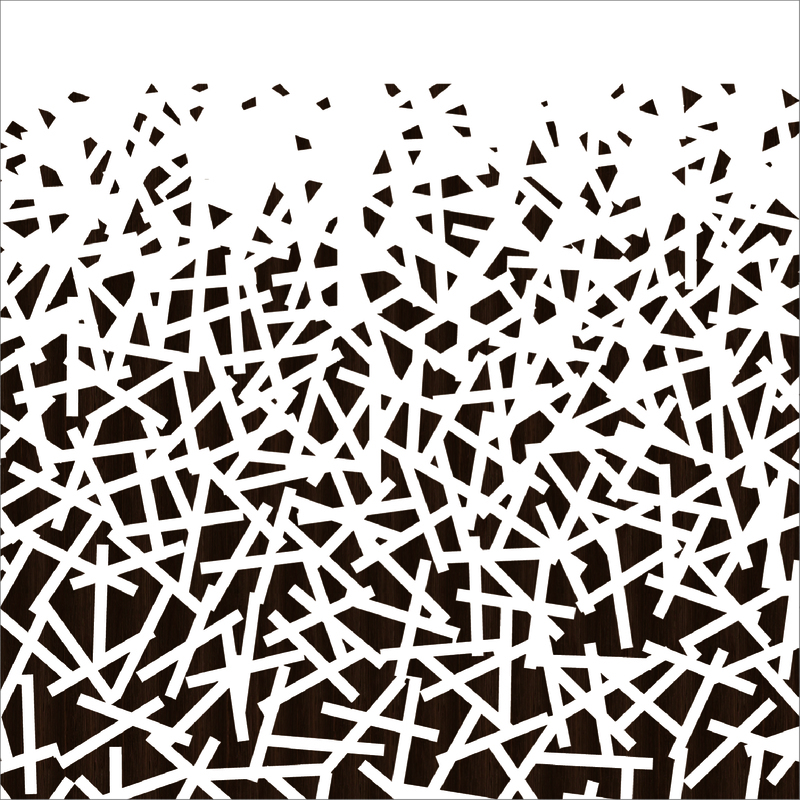 First, we deconstructed the Kenzo logo, and rebuilt its pieces into random patterns, in the same way a bird accumulates twigs for its nest. 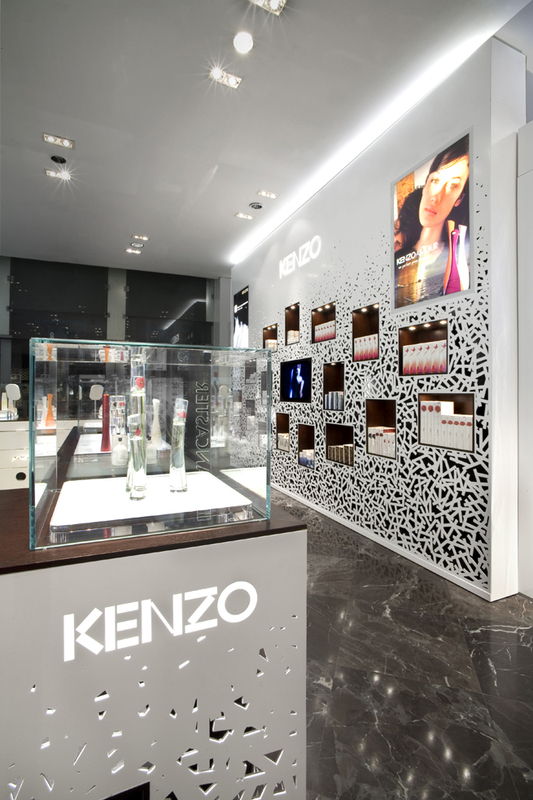 This maintains the brand image that Kenzo has carefully nurtured through the years, but adds an iconic duality in the combination of light and shadow that filters through the pattern. 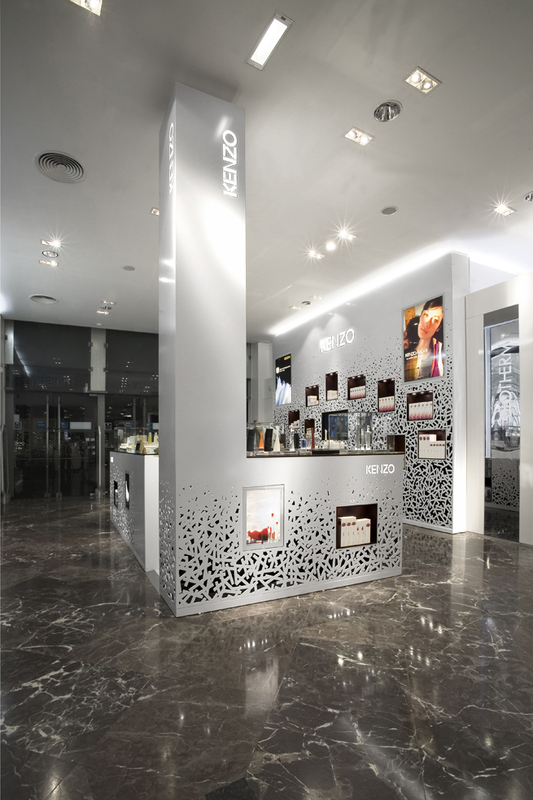 The choice to use different materials -steel coated with glossy white paint on the outside, and dark wood on the inside- emphasizes the concept by creating a conscious contrast of colour and materials. 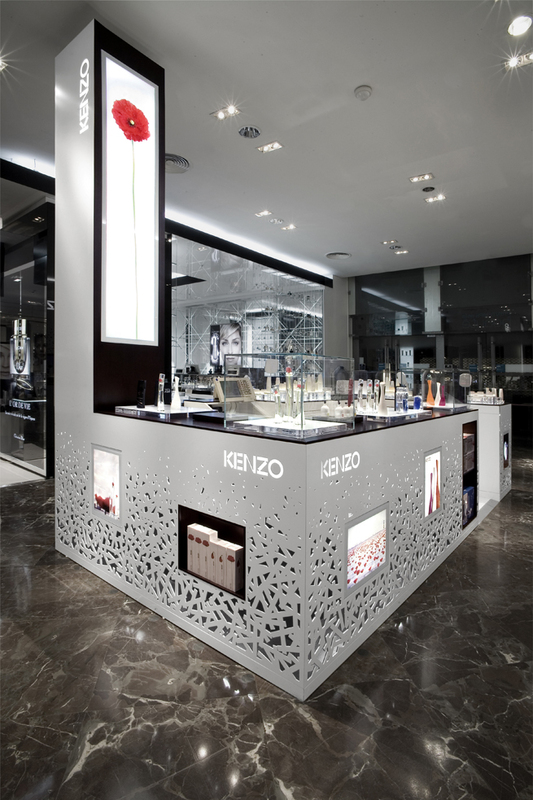 Coordinating counters, stools, lamps and mirrors as well turn the space into a “nest” that gently surrounds the dualism that is Kenzo.